? Third party privacy seals, such as those TRUSTe provides, go a long way in persuading customers that you value their privacy and won?t share their details without their consent. Adds Maier, ?It also lets them know you?re under contract to abide by a set of privacy practices, submit to ongoing monitoring, and work to address any issues that arise.?
? Privacy statements inform customers what data you?re collecting and exactly what you?re going to do with it.
? 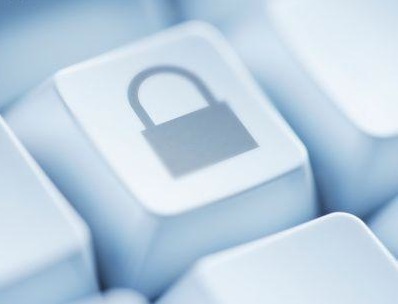 A security policy tells customers how you?re protecting their information.
? A dispute resolution or redress policy gives customers the confidence that, in the event of a problem, there?s a neutral third party who will help them resolve their complaint.
? Research your vendors and partners, and make sure they?re reputable. Read their privacy policies, and ask them about their privacy practices until you?re satisfied. This not only conveys to them that your customers? privacy is your priority, but that you expect it to be their priority as well.
? Watch out for companies that offer abnormally high commissions to advertise with you. Often, they?re less interested in the products they?re asking you to promote, and more interested in selling your buyers? info to companies who?ll pay top dollar for lists of targeted leads. Your customers will end up getting spammed, and your reputation will suffer.
? Use a shredder for your business papers and be careful about where you put your trash. It sounds crazy, but it happens all the time ? people steal critical information right out of the garbage can.
? Install good anti-spyware and anti-virus programs on your business computer to protect your buyers? information ? and your own ? from key loggers and other aggressive applications. When you carefully control your buyers? information ? and who has access to it ? you contribute to building good customer relationships. Consumers want to know their details are secure, so online retailers who their privacy concerns seriously are going to have satisfied customers coming back again and again. Asserts Maier, ?When shoppers feel like you?re protecting their interests, you?ll see a big difference in your bottom line.? For important facts about ppc web spy review – check out this web page.